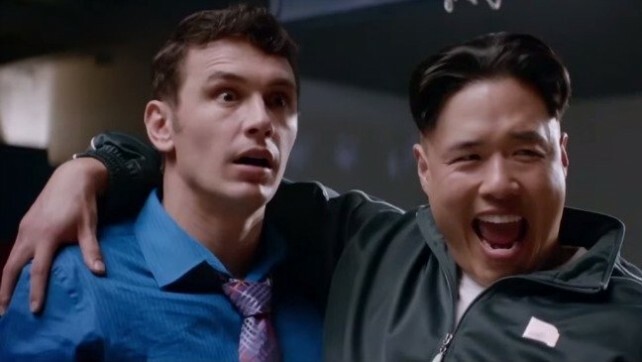 Netflix subscribers might soon be just as excited as the North Korean ruler is in this still image from The Interview. Why? According to an announcement in the company’s fourth quarter report (page four), it’ll be available to stream starting on January 24th. That’s right, just a month after the film’s slightly (read: hugely) botched release and the surprise success of its digital sales, it’s being picked up by the streaming behemoth. Despite the film surging to the top of digital sales lists, do you think the film lives up to its hype? Was it really worth all the extensive media coverage? Critics say it wasn’t. Find out for yourself this weekend, though, why dontcha. See the rest of the story over at Cinema Blend.